A lightweight and extremely robust carbon composite shell in an attractive, contemporary design; a sophisticated, extremely effective ventilation system combined with premium comfort inner liner and the whole creation in outstanding quality at a really attractive price. 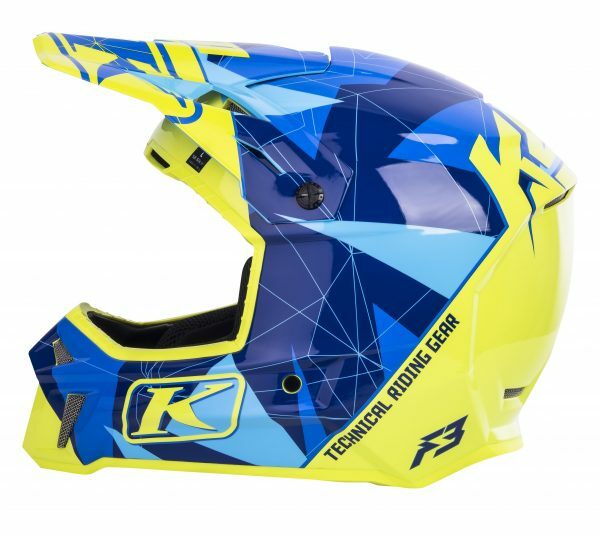 What reads like the proverbial letter to Santa, is now a reality: The F3, the new off-road helmet from KLIM. With KLIM’s structure mapped composite construction, its strength is optimised in neuralgic areas and the overall weight is reduced, which means there is minimal stress on the cervical spine while still maintaining maximum impact protection. Compared to its predecessor the new F3 has up to 10% less in terms of its external dimensions and an even more comfortable fit with three different shell sizes. One of the main objectives for developers was an efficient ventilation system: Equipped with 13 inlets and six outlets, which provide effective heat dissipation even when stationary, the F3 mastered this challenge with flying colours. 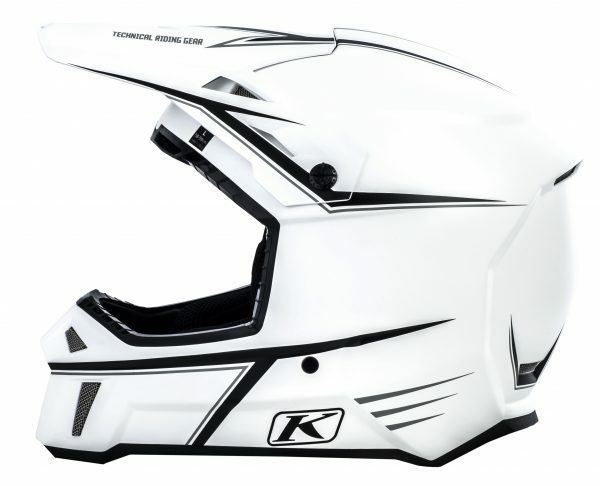 A large, wide field of view that actually leaves enough room for all popular MX-goggles and a Klimatek™ comfort-lining – it combines flexible foam padding with rapid-drying, antimicrobial and antibacterial fabrics – are further high lights of the new KLIM helmet. Another point the developers focused on was that the F3 is a perfect match for all the standard neck brace systems. Thanks to its innovative construction and high quality materials, the KLIM F3 complies with or exceeds the stringent ECE test standards with ease. 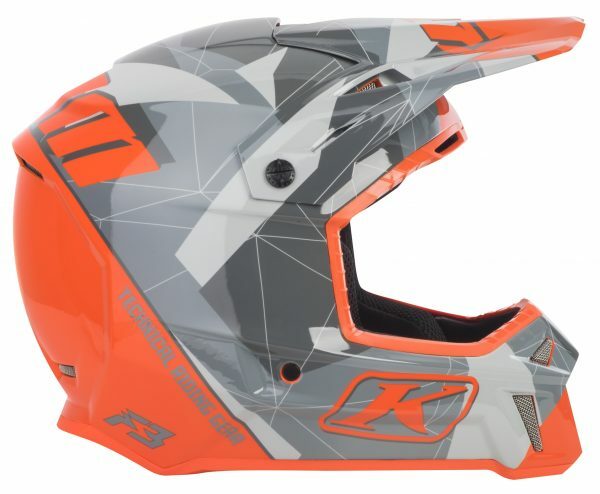 The F3 helmet from KLIM is available in five attractive designs; the range of sizes is from SM to 3XL.